Last year we saw bold moves whereby companies of a certain size had to report on their gender pay gaps. Many people were shocked, others not so much. The Environment Agency went even further, to be a leader reporting pay gaps in disability, race, sexual orientation and religion. In the construction sector, there were notable disparities however there were some good performers such as Skanska which had a far smaller gap than some of their competitors. Contractors and consultancies seemed to be generally much poorer in their performance with some staff noting that for companies with LLP’s, the methodology allowed you to exclude the LLP portion of the business, meaning that the disparity could be even more greatly skewed if taken into account. This suggests likely greater pay gaps disadvantaging women since the majority of partners in companies tend to be men at present. But today marks a different issue. 10th November essentially marks the day that women begin to work for free due to pay differences, according to the Fawcett Society. Imagine that, from today up until Christmas, you are essentially paid nothing. It does begin to make life difficult, doesn’t it? Not only that, the pace of change that we are currently seeing, risks meaning that it will take over 70 years to close the existing gap! For ethnic minority women, the combination of both race and gender discrimination actually means the unpaid work begins far earlier in the year. Surely, we all need to be more active in redressing this imbalance? Luckily, at NAWIC, members and non-members alike are welcome to sessions which help women in our industry develop different skills from public speaking and presentation, resilience and networking to negotiation. All of these can go a long way in self-help to address some of the challenges women face in navigating career progression in the sector. However, much more also needs to be done at a structural level, and this is why we have begun advising our various stakeholders on best practice and will begin recognising companies that do so. We have also provided comments on parliamentary documents on the expected direction of change. From the results of the gender pay gap, companies need to develop bold action plans, and we would be happy to work with any company needing support to do so. 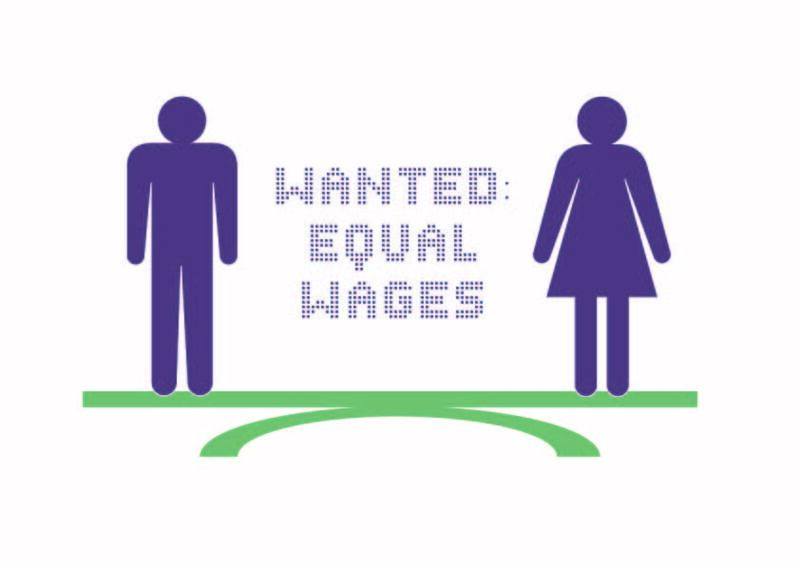 LSE recently released a study which showed that the gender pay gap could worsen as girls born in the 2000s were aspiring to do jobs which paid 31% less than their male counterparts. At NAWIC, we have our education workstream; this year we will not only be working on promoting the industry and recruitment, but also inspiring young girls through our campaign documenting women in different parts of our sector, focused on capturing the ‘changing face of the construction industry’. A bigger question still lies around whether we value the work of men and women the same way. 10thNovember suggests not, as well as studies that have shown there can be a penalty against how women are perceived if they negotiate too much or are considered ‘bossy’ rather than recognised for leadership qualities. There are still discrepancies in bonuses and how women experience progression to the top. For example, a study showed 1 in 5 mothers have been overlooked for a pay rise or bonus because they have children with two thirds thinking they would have had a higher paid job without. We need to find the solutions so that everyone is valued equally for their contributions. At the end of the day, gender diversity has been recognised to boost profitability by 15% according to McKinsey, as well as leading to increased performance and innovation. In order to achieve growth in a competitive market and stay relevant in a changing world, it is as much a necessity as it is a nice to have. So why not work together to solve this problem – business can provide the solutions the world needs – and make 10thof November a day like every day for everyone. Feel free to contact the writer at blog@nawic.london if you would like to discuss further or find out more.